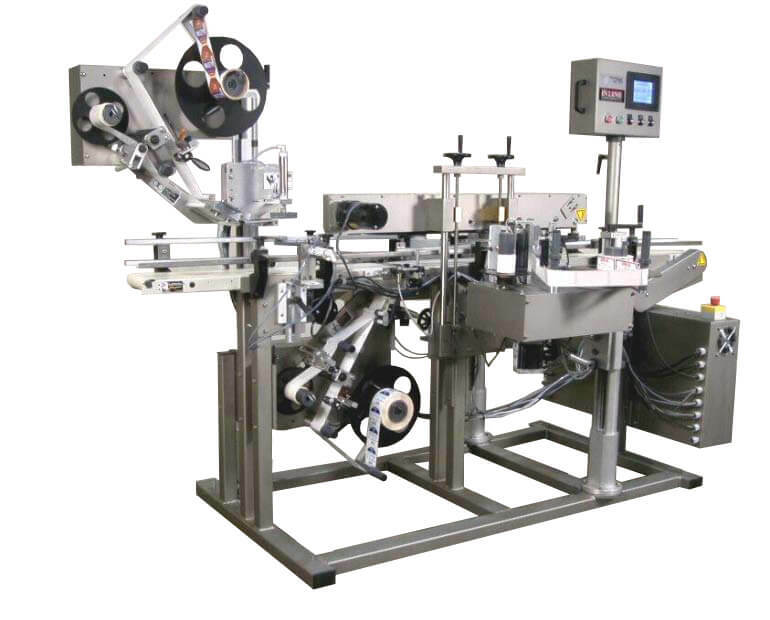 Economy Filler | InLine Packaging Systems, Inc. Containers enter the filling area in groups. When the last container in the group passes the mounted counting sensor, a pneumatic gate will engage and prevent other containers from interfering in the filling process. 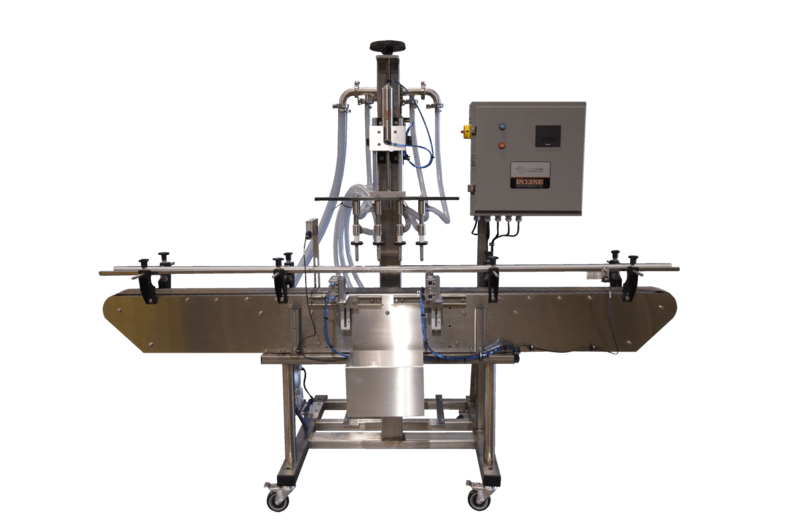 A product aligner engages the necks of each container, centering it under each fill nozzle, and the nozzles will lower into the opening of each container. Once seated on the opening of the bottles, the fill tubes will be opened and as air exits the container, product will flow in from the product tank. The fill level in each container is controlled by the position of the vent tube, so it is a fill-to-level principle. When product reaches the vent tube the excess recirculates back into the product tank. The cycle of the filler is time-controlled and fully adjustable. When the cycle completes, the fill head elevates, the fill valves close and the neck guides retract. Finally, the pneumatic front gate releases allowing your filled containers to exit. The product level in the tank is managed by sensors controlling a pump which will pump product into the tank from your supply. For efficiency, speed, and accuracy, choose our Economy Filler. With your growing business, time is important. Getting it right the first time and every time is necessary to meet the growing demand of your product. With In-Line, we understand your needs and provide the solutions. Our Economy Filler will get your bottles full and ready to ship.